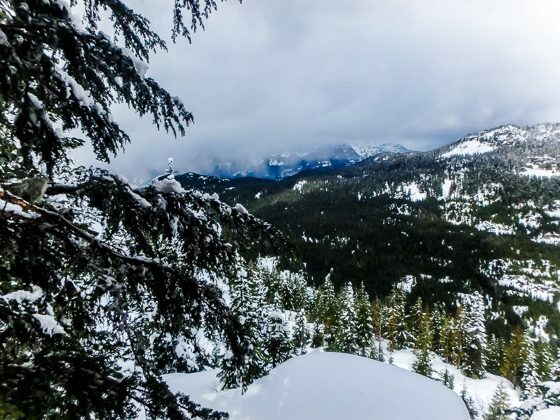 This winter, a new kind of place is calling you: Whistler, British Columbia. 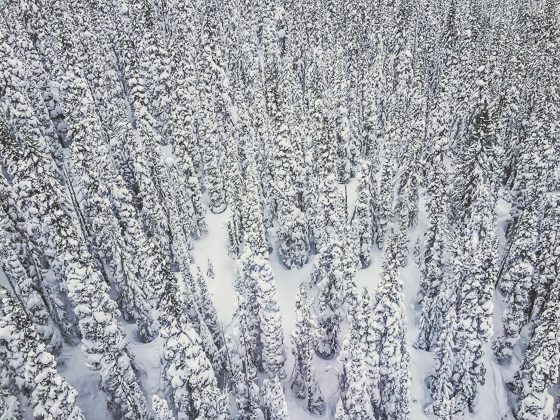 Calling you away from the ordinary to experience an extraordinary world, high up on a mountain, covered in white. 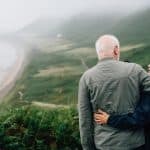 If you and your partner are planning on spending your winter hunkered down in your home watching Netflix, change your plans. You need a romantic trip, just the two of you. 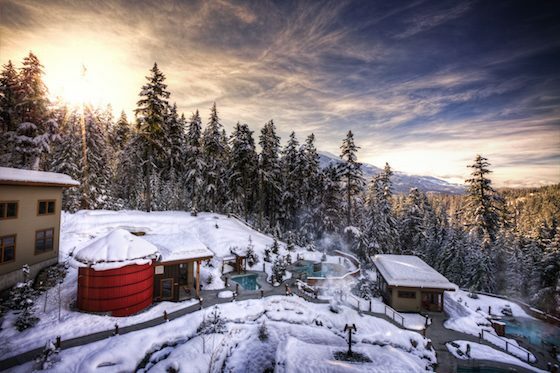 Get off the couch, hit the slopes, and discover everything Whistler has to offer for a romantic getaway. 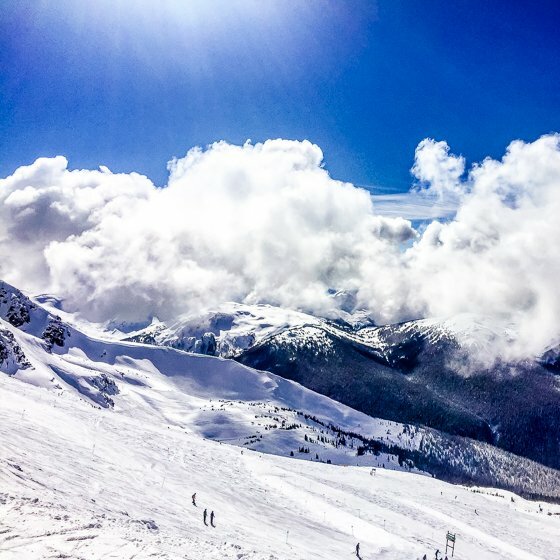 Whistler is one of the best resorts worldwide, year round. You can come here for golf, biking, and skiing. 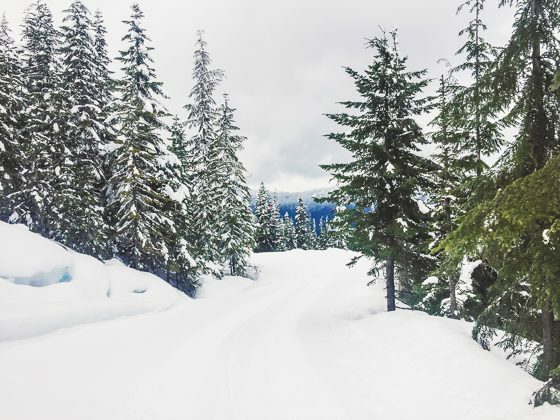 Since it is winter, we are going to share with you the best experiences in Whistler when it is cold outside. 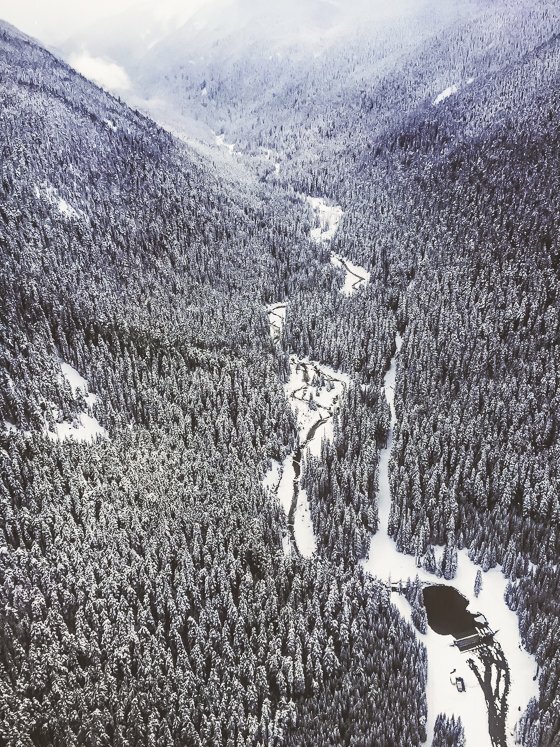 In 1966, Whistler was set up for skiing in hopes of securing the Olympic Games in the area. 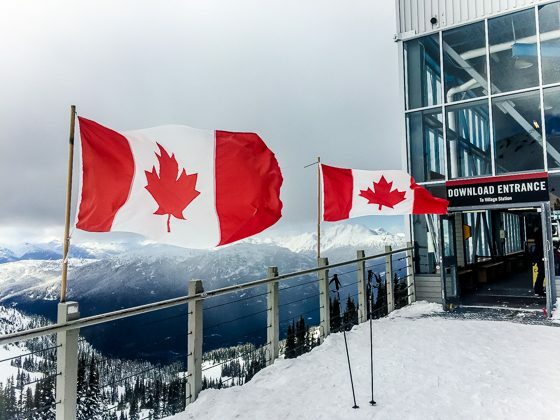 Today Whistler Blackcomb is the #1 Resort in North America. While the bid to host the Winter Olympics in 1968 was turned down, the dream became a reality in 2010! You don’t have to be an Olympian to enjoy yourself here though. 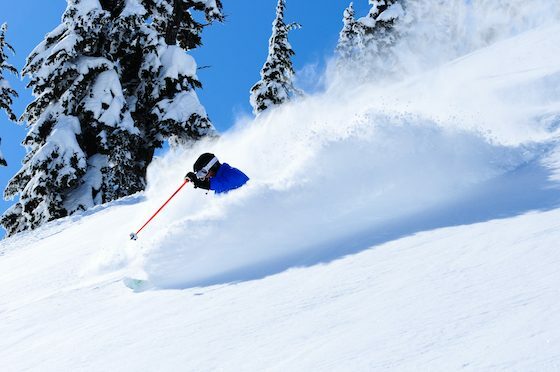 Whistler is a world class destination for anyone seeking thrills and pampering at the same time. 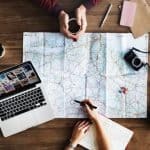 There are tons of restaurants, bars, spas, boutiques, and some of the best skiing and snowboarding you will find anywhere in the world. 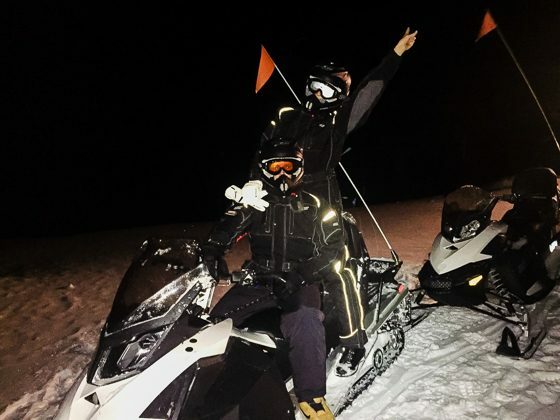 The best part about the area is that regardless of whether you’re a new skier or a seasoned pro, you will find challenging or easy slopes to go down and can enjoy the experience of group and personal trainers who will be happy to give you an hour refresher to get you going within half a day. If the slopes aren’t your thing, there are plenty of activities that don’t involve skiing. While Whistler is remote, it is not hard to get there. Whistler is 2 hours north of Vancouver. If you fly into Vancouver, take the Sea-to-Sky Highway ride with the Pacific Coast Line. This bus leaves on time, so be punctual. It makes a few stops in Vancouver before proceeding to Whistler. It’s a first class, luxury coach with reclining seats, wifi on board, and a clean bathroom. Seats have a lifting arm rest, so for those who are tired from the day of flying, it’s possible to stretch out over two seats and sleep if there is room. The drive is about 2.5 hours and the coach departs every hour to two hours starting early morning. Check the schedule online. The Sea-to-Sky highway allows for breathtaking views of British Columbias rugged waterfalls and glacial peaks. This is no ordinary airport shuttle. 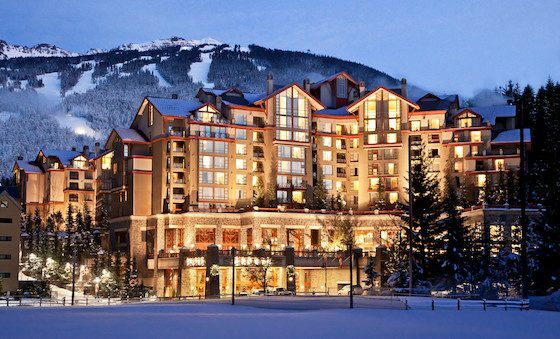 Westin Resort and Spa at Whistler is a modern ski hotel located at the bottom of Whistler mountain in Whistler Village. 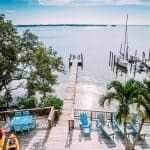 This is a great location, close to everything in the area. 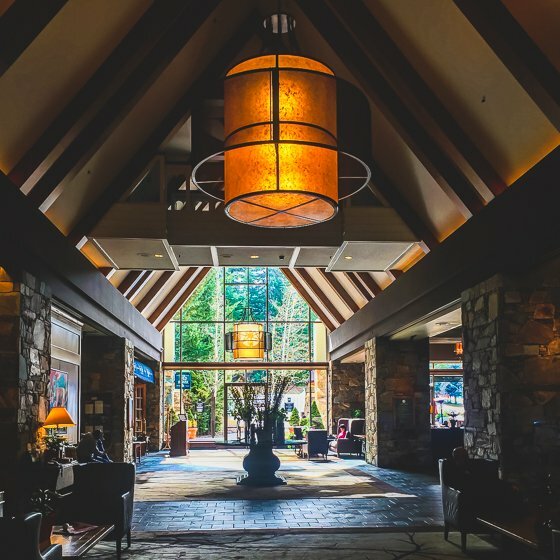 Upon arrival, you feel like you’ve been transported to another world. The grandeur of the hotel, enveloped in the snowy mountain scene is pure magic, like a scene out of Harry Potter. If you came to ski or snowboard, you are in the right place. Both mountain gondolas are right outside the hotel. The Ski Valet at the Westin is such a wonderful stop after a day on the slopes. Just drop your skis off at the tent, go in, have a drink, lounge by the fire, or go up to your room. 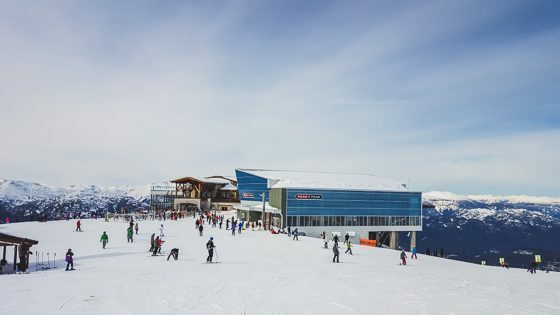 Later, your skis can be picked up at the entrance to the hotel’s rental shop right beside Whistler Kids and Ticketing Center, steps away from the gondola. 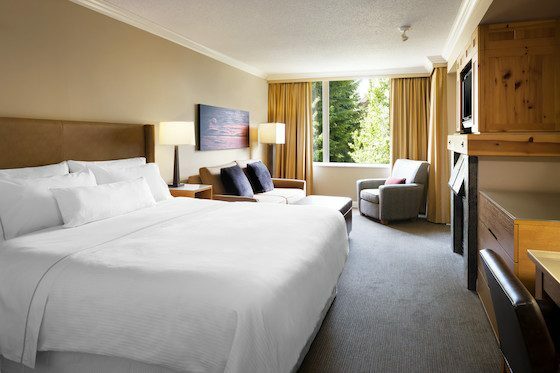 There are 400 suites, all designed for comfort and all extremely convenient to the best of Whistler. Upon check in you feel right at home in your room with a fireplace and full kitchen. 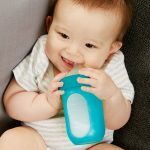 This allows you to fix your own meals if you wish. For a romantic getaway here though, you have to have breakfast in bed at least one morning. Stay snuggled up a little longer before hitting the slopes and order in. 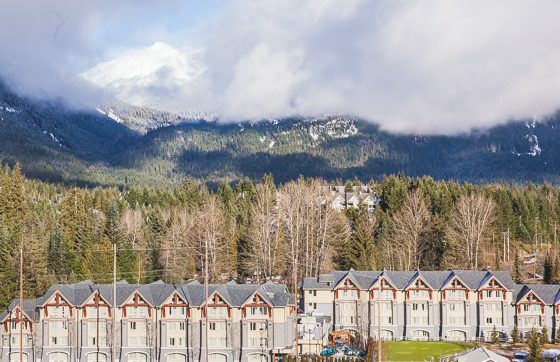 Choose from the Studio, One bedroom, Two Bedroom, or Penthouse Mountain Suite. This hotel consistently wins awards such as Best #1 Ski Hotel by Conde Nast. The Fairmont Chateau Whistler is luxurious and unique. It is a real castle in the middle of Whistler’s Upper Village. Decked out in dark wood, the Fairmont is an impressive hotel. Dark colors warm you after a day on blindingly white slopes, fireplaces are everywhere, with relaxing indoor, outdoor pools and hot tubs overlooking Blackcomb Mountain. This Ski In and Ski Out hotel is perfect for those who don’t like carrying their gear around. Stop at the Ski Valet for a cup of hot chocolate. 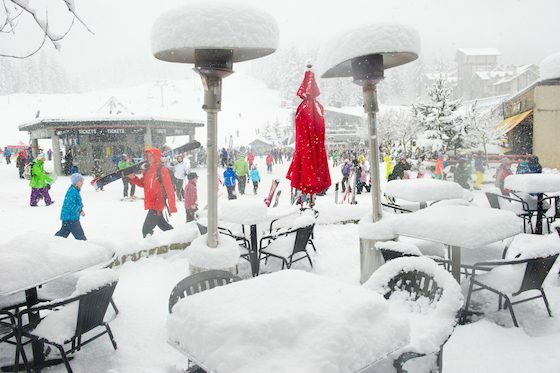 You really are in a winter wonderland here at the base of Blackcomb Mountain. 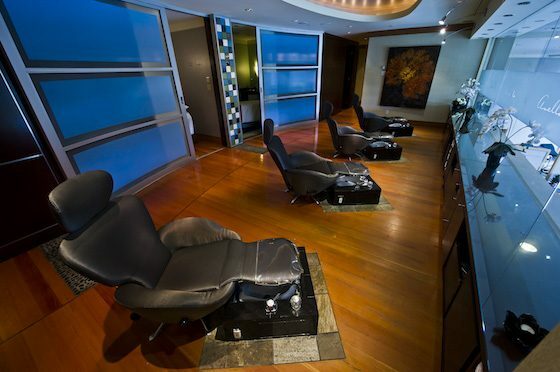 Choose from beautifully designed accommodations. There are guest rooms, suites, and specialty rooms. Every room is elegant and cozy. The amenities at this resort are over the top. 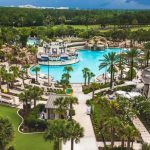 In addition to being a Ski In and Out resort, there is a top of the line health club where you can enjoy yoga classes twice a day, and you can dine and drink at the many restaurants, bars, and lounges. 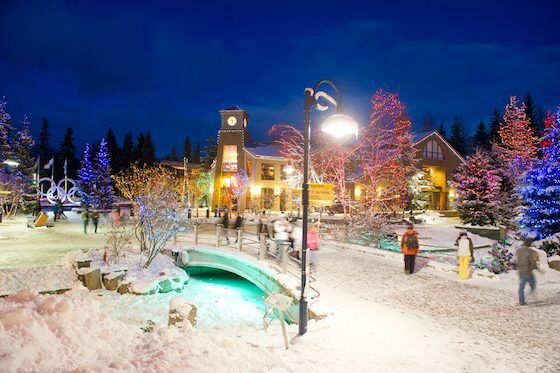 Take the shuttle to Whistler Village and visit the spa on site. 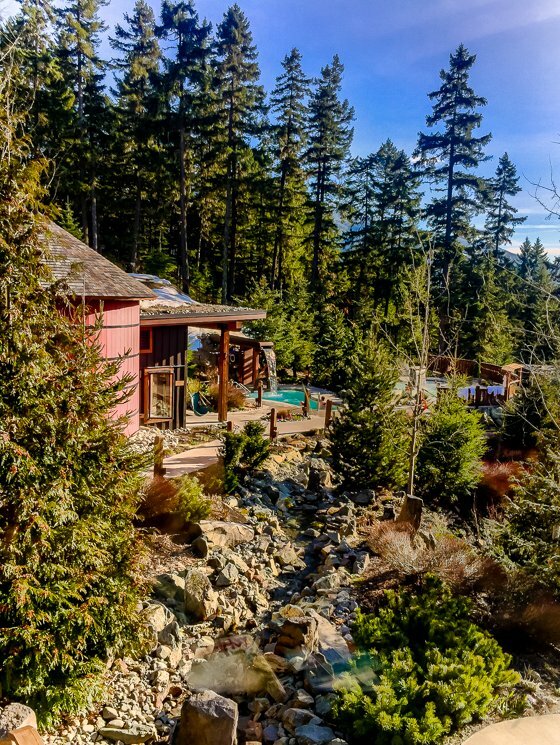 This place is luxury in an alpine setting that will leave you dreaming of returning long after you return home. Skiing is obviously a must-do here. 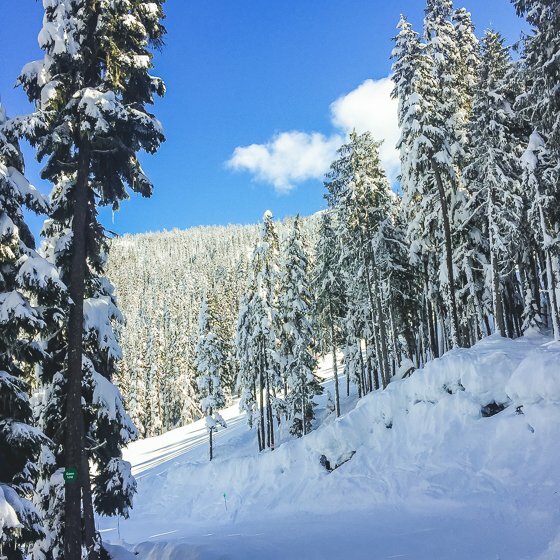 We would venture to say that the overwhelming majority of visitors to Whistler in the winter come to ski. 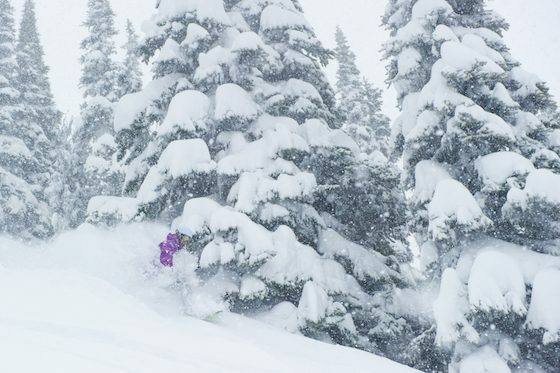 This is one of the absolute best places to ski in the entire world! 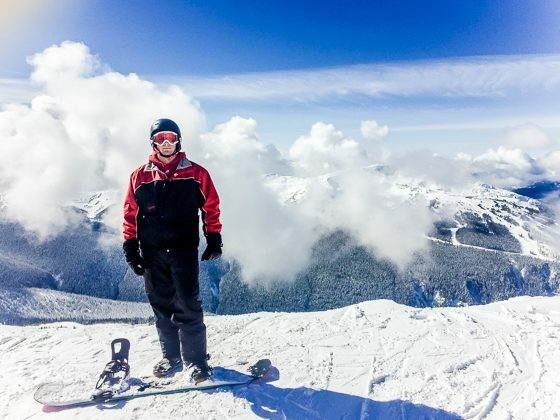 Whistler Blackcomb is a skier’s paradise. Whether you are an expert on the slopes or have never stepped into skis in your life, you will have an amazing time here. For beginners, Snow School will have you speeding down the slopes in no time. They have lessons for all ages and skill levels. There are even online lessons to get you prepared ahead of time. Travel light to Whistler. The equipment rentals are all you need. You can pick up rentals right near your resort if you are staying on the mountain at the Westin or the Fairmount. The Whistler rental equipment is actually better than bringing your own. They have the newest stuff available and everything is tuned up every night after it is turned in. You can use different equipment everyday depending on conditions. Choose from all their high end, state of the art options in skis, snowboards boots, and more. 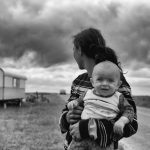 Renting here really is better than bringing your own equipment. 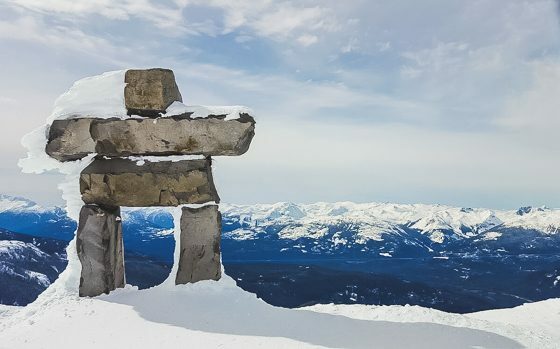 Upon arrival on the mountain, get acquainted by taking one of the Whistler Blackcombs 90-minute free guided orientation tours. 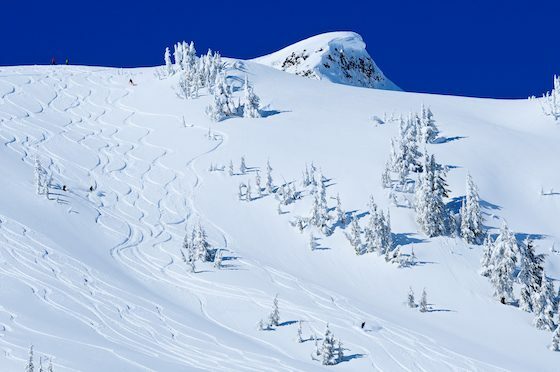 A mountain host will give you the insiders scoop on where to ski. If you aren’t here to ski, there is also a sight seeing tour. 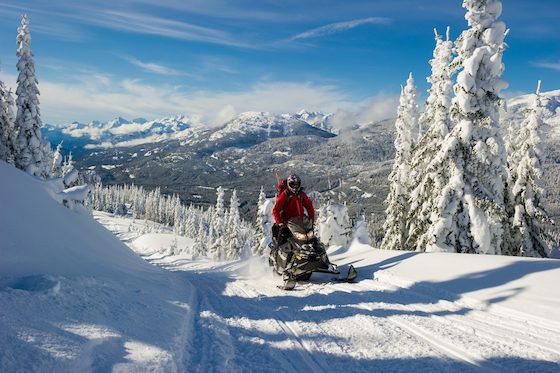 Canadian Wilderness Adventures Ltd offers snowmobile tours in Whistler lasting anywhere from 2 hours until all day. There are several different experiences to choose from. You can even tour at night. Couples ride together. 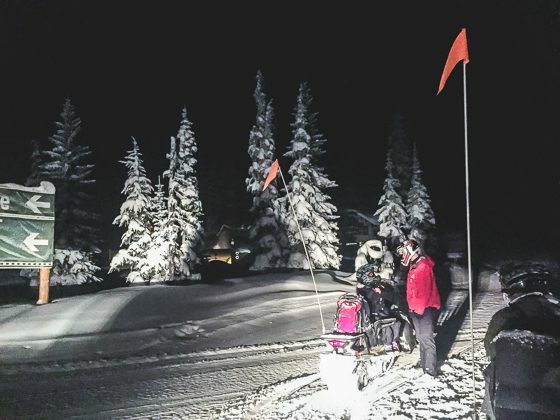 A night time snowmobile ride is something that is so outside the ordinary for most of us. Get dressed, jump on, and take the ride of a lifetime. You ride up to 6,000 feet in the dark, through the forest. What a thrill! 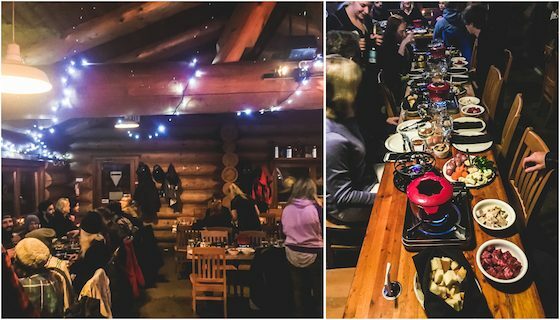 When you arrive at the Crystal Hut on top of the mountain, you are treated to candle lit fondue and wine, with pie for dessert! 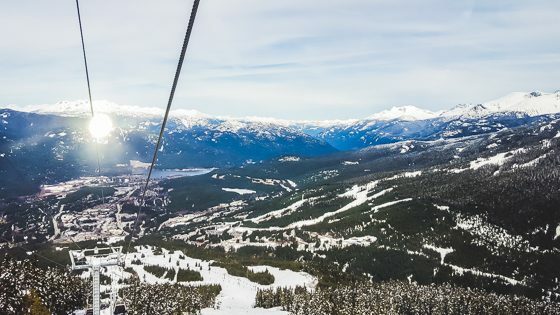 A local musician is on hand to serenade everyone as you look down over the lights of Whistler, breathe in the chilly air, and take in the panoramic views on high. Awarded the Canadian Signature Experience by the Canadian Tourism Commission, this is an activity that is considered a “Must Do” in Canada. 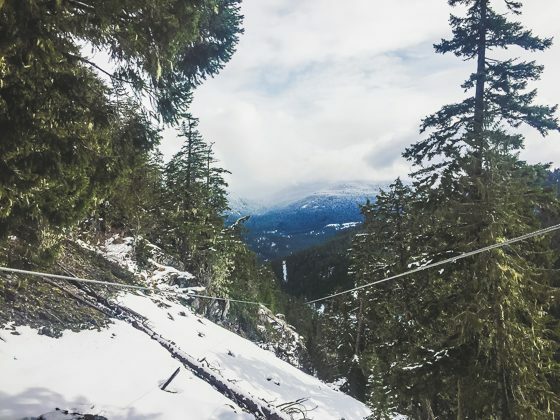 Soar the skies of Whistler on a Superfly Zipline Tour with The Adventure Group (TAG). 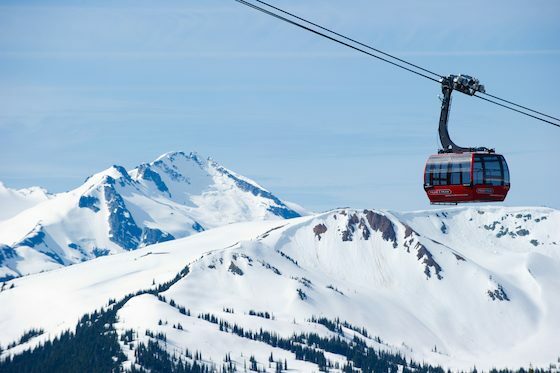 Fly over the snow, through the alpine scenery on the world’s most spectacular zip lines. 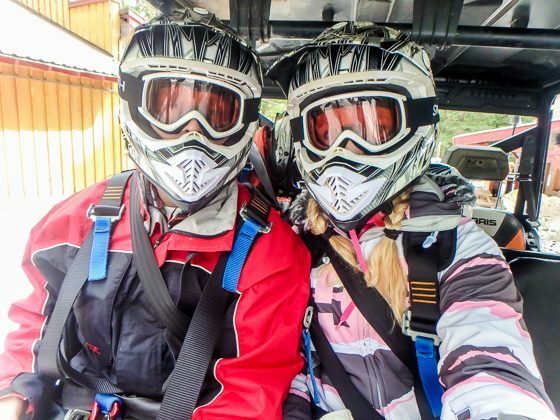 The tour starts with a custom snowcat ride up a mountain with gorgeous views. Whether it’s a foggy, cloudy day or a clear one, you will receive an unforgettable experience with such dramatic drastically different views. On a clear day, you can see every single tree as you fly by the valley and exactly just how high you are and how far you have to go. On a foggy day, the experience is augmented by poor visibility which makes the flights feel like you’re launching into an abyss and makes time stop. The unique part of Superfly zip lines is that you can zip with someone side by side, though if one of you is heavier they will go significantly faster. Four zip lines are unique and connected by boardwalks. 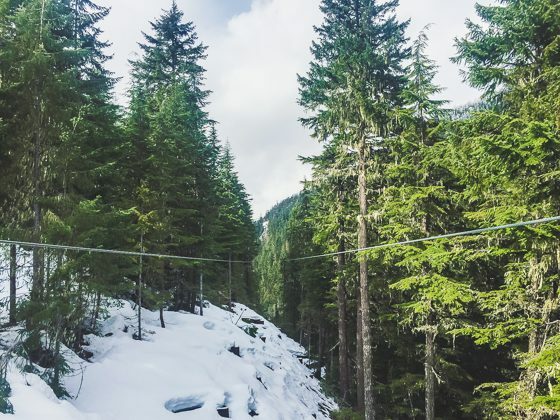 The first zip line connects Rainbow Mountain and Cougar Mountain and goes for over a minute; the second one is the longest zip line in North America at over 1.3km long. As you zip alongside a mountain feeling like you can touch the rocks, you think it will never end. The third zip line, Gorilla Zip, goes down very fast at a large incline. The fourth is another tandem one that is close enough to each other, it allows you to hold hands. 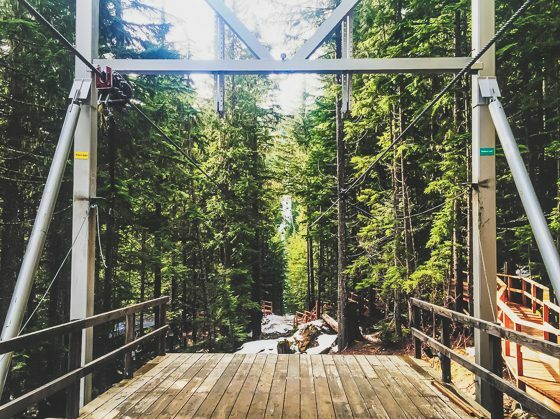 These are the longest ziplines in Canada at well over a kilometer long and 600 feet high. You will reach speeds up to 100 km/hour. It really feels like you are flying. When the rides are over, you can check out your photo souvenirs and sit by the fire sipping hot chocolate waiting for the bus to pick you up and take you back to the village. You cannot let this opportunity pass you by. 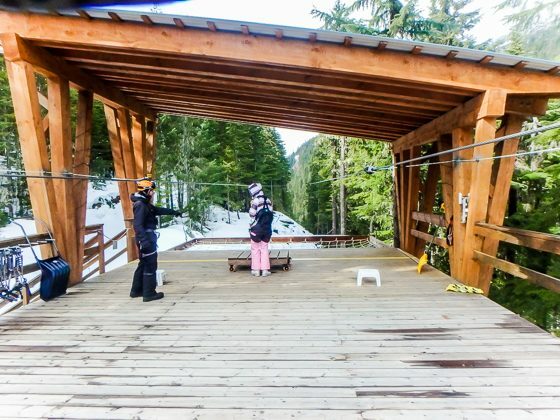 You have to do this as a couple while in Whistler. 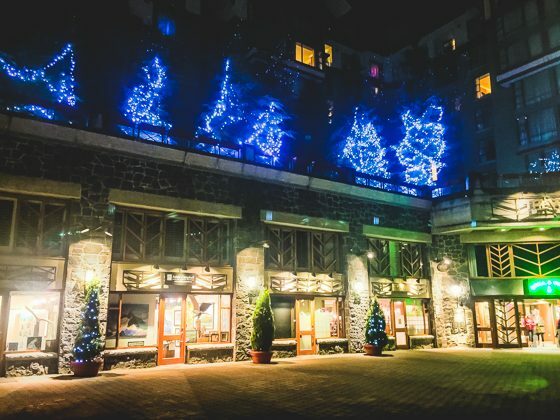 Every Sunday, Whistler guests are thrilled and amazed by the Whistler Blackcomb Fire and Ice Show. Fireworks and fire spinners light up the snow filled skies. Watch skiers and snowboarders jump through the dazzling Ring of Fire every Sunday at 6:30pm at the base of Whistler Village Gondola. The fireworks display in the skies above Whistler would be entertaining enough, but add in professional skiers and snowboarders diving through rings of fire, with electric music, dance, and fire spinners, all for FREE. That’s one amazing Sunday night! For a different kind of fun, go tubing at the Coca-Cola Tube Park. 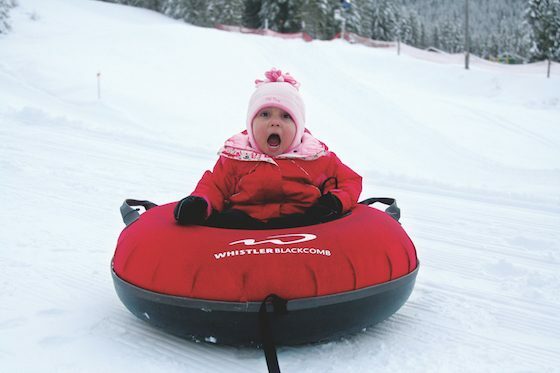 Head over to Base 2 Zone on Whistler Mountain for a thrill ride that will have you laughing like a bunch of kids. You don’t need any special equipment. They have the tubes there waiting for you. 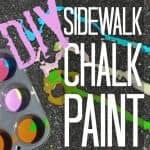 Honestly, this is so fun you could do it all day. There are 7 tube lanes, some gentler than others, and a tube lift to make it easier to get up to the top of the lanes. You can even go in the early evening when they light up the lanes. 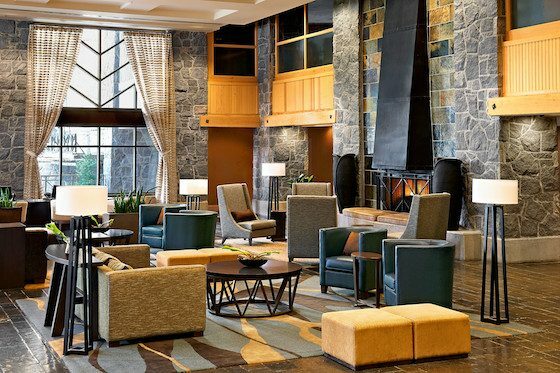 Stay and have a snack by the fire pit before you head off to your next activity together at Whistler. You must book a Couple’s Massage at Avello Spa & Health Club. A romantic vacation wouldn’t be complete without a couple’s massage, and you will get the best therapeutic experience at Avello Spa, the Spa at the Westin. Your mind, body, and spirit will be soothed here. 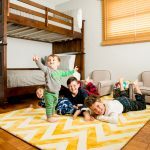 This retreat is the perfect way to relax and rejuvenate together. Soothe tired muscles after one of your Whistler adventures. Experience the Scandinave Spa. A bath might not seem that exciting until you visit Scandinave Spa. The setting is relaxing, and you feel like you have walked into a movie scene. The variety of baths is enough for four hours of experience. We loved relaxing in the solarium. 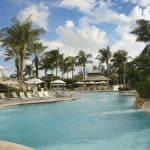 The concept is you spend 15 min in the hot room (steam room, sauna, whirlpool) then you jump in one of the cold pools (44-66 degrees temperature) for 10 seconds (if you can stand it) and then let your body buzz from the effect in one of the neutral temperature solarium beds or hammock. Repeat that 3-4 times in different pools and areas, sit by the fireplace drinking tea, and you are DONE for the day. This hydrotherapy is beneficial for cleansing the body, stimulating blood circulation, and the release of endorphins. This is just as good in the winter as it is in the summer. The Couples Floatation experience at West Coast Float is amazing. It might take some time for high strung type of individuals to relax, but everyone eventually does. 90 minutes is a recommended minimum, and trust us, you want at least that long. You get into your chamber, shower off completely to remove oils, and descend into the couple’s float cabin. Just big enough for two, it’s a good experience. When you’re ready (put your ear plugs in, bring goggles, and use the attached float pillow), you close the door and turn the light off. Your experience begins as you float weightlessly in an epsom salt solution in complete darkness without sound. Just an hour of floating therapy is equivalent to 3-4 hours of uninterrupted sleep. Really allow yourself to let go and enjoy this very unique experience together. Vida Wellness Spa is located at the Fairmont Chateau, so it is a must visit while you are staying there. They focus on your individual needs with every treatment. The Deep Tissue Massage is just perfect. Their range of therapies all promote wellness and energize you. We love the Ayurvedic massage. This treatment involves generous amounts of warm oil poured over the body with extra attention to the head, neck, and scalp. 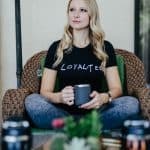 This technique optimizes the bodys systems, mobilizes joints, and enhances tissue suppleness. It left us feeling relaxed long after our treatment was over. 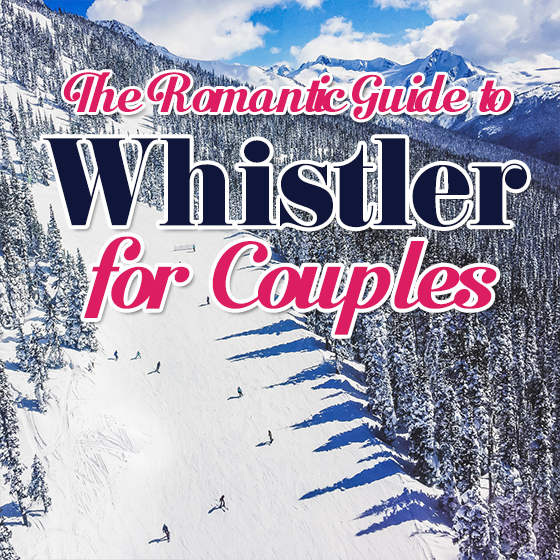 Whistler really is the perfect destination for a romantic getaway, because not only will you find adventure and renewal as a couple, you will have tons of choices for dining no matter what you prefer. 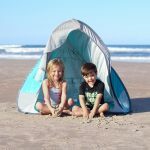 Here are some of our favorite spots. The FireRock Lounge is located in the Westin. Order a cocktail and sit by the fire for a fabulous happy hour. Each day has a special. For example, on Bubbles and Beer Friday, Prosecco cocktails are on the menu. Yum! There is something happening at this lounge every night so be sure to stop by for a drink or three when you are staying at the Westin. For a casual atmosphere and the most delicious Mexican food, check out The Mexican Corner. A margarita is a must have here, and treat yourself to churros for dessert. 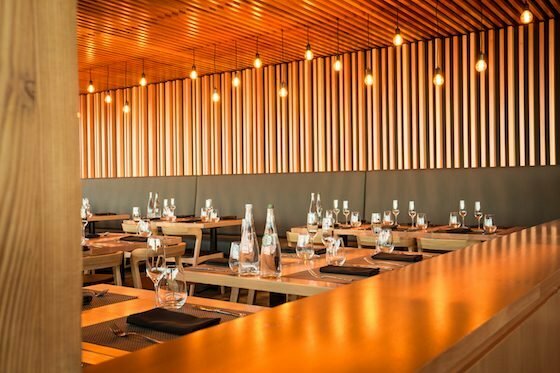 Christine’s on Blackcomb is a restaurant with a new modern wood look. Wrap around windows give a breathtaking view of the surrounding area. We sat at the proposal table which is a corner table with windows on both sides overlooking the proposal point. Many proposals happen at that table and that makes sense as this place is so romantic. You can see the whole mountain from there. The food at Christine’s is unreal. It’s not your average lunch place. It’s a gourmet experience with plates of food that look like works of art, and there are wines to complement everything on the menu. The cold smoked trout appetizer falls apart in your mouth. Fish in general is to die for in British Columbia, fresh and done to perfection, especially the smoked fish. Breakfast at The Grill and Vine is an incredible start to a day in Whistler. We love their superfoods breakfast menu that lets you start your day off healthy and ready to take on anything. 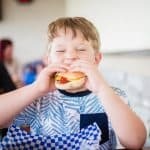 Eating well can be hard when traveling, but that is not the case in Whistler when you can dine at farm to table restaurants like The Grill and Vine. Dinner at the Bearfoot Bistro is so uniquely Whistler. You have to have dinner here! This is dining at its finest. Besides food, there are some things you just have to experience here. First you need to saber a bottle of champagne. This is a tradition going back to Napoleon where him and his generals would saber champagne before each battle; now you can do it yourself. You get taken down to a beautiful wine cellar where a chilled Champagne bottle is given to you, and using a real sword you slice the top of the bottle off just like in the movies. And of course you get to enjoy your glass of champagne right there, and you’re given the cork from the Champagne as a talisman of love and success in a little box that looks awfully like an engagement ring box ( wink wink – a good idea for a surprise engagement). The food is out of this world. 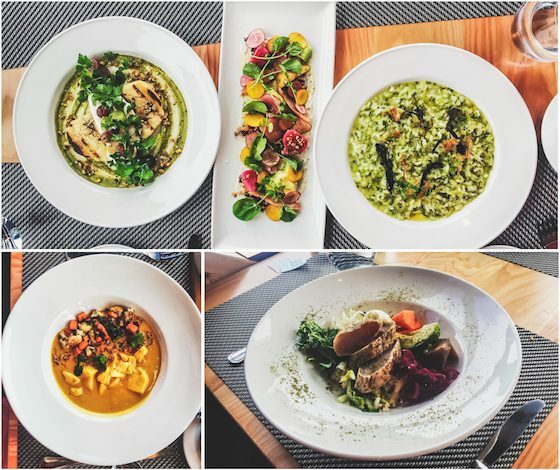 There is a 3-5 course menu with wine pairings, and depending on what you choose, you get to experience a delectable menu, garnished to perfection and created like a painting (they literally paint the plate with sauces). Each wine pairing is unique and usually local from Canada. 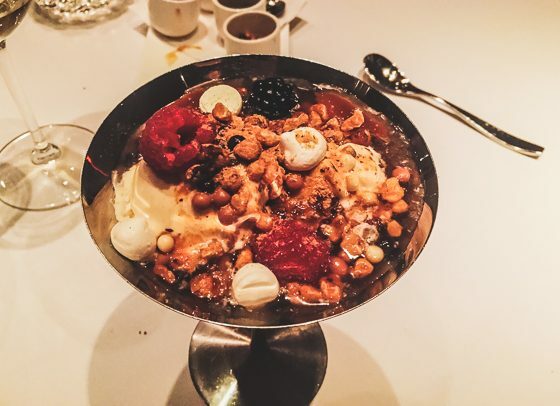 For dessert, nitrogen ice cream is made in front of your table. A chilled bowl, some vanilla bean cream, and a pitcher of nitrogen is brought to the table, where nitrogen and cream get combined to create a smooth crystal free ice cream right in front of your eyes. It is served with toppings that include fruit, candy marbles, caramel, and chocolate sauces. Ask for some dessert whiskey and your day will be complete. Finally the most unique experience here is the Ketel One Ice Room. 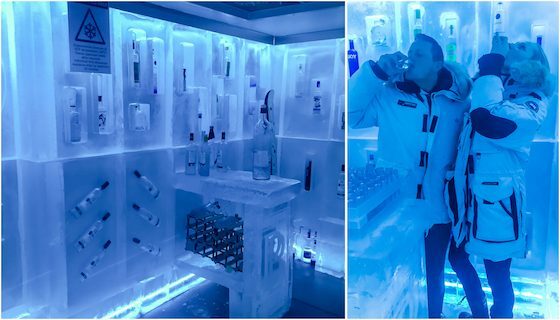 The coldest vodka tasting room in the world is here. You get dressed in arctic gear and taken inside, where you get to sample four different vodka flavors and take some fun pictures. For another wonderful morning, have breakfast at The Wild Wood Bistro & Bar. 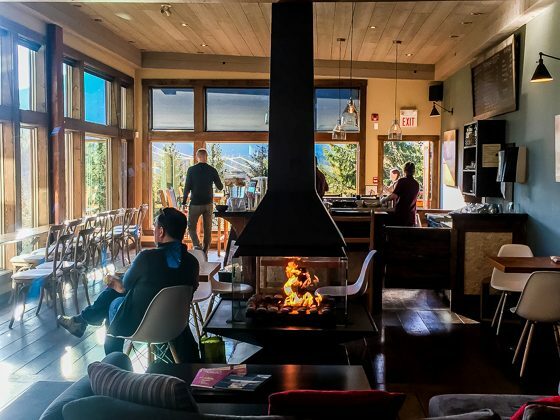 Located in the Crystal Lodge in the Village at Whistler, the location is convenient so you can eat and hit the slopes. There is something for everyone here. Try the Eggs Rockefeller or the Wild Breakfast Bowl. For something really different, order the Pulled Pork French Toast. Delicious! Bar OSO is a fabulous lunch spot. With choices like charcuterie boards and gazpacho, you get a Spanish-influenced meal here that you won’t soon forget. Order a sangria or one of the handcrafted gin and tonics. The Mallard Lounge, located in the Fairmont, has hot cocktails that will warm you up in more ways than one. We recommend the Red and White Coco for lovers of coconut. This is a great place to relax and chat apre`s ski or before dinner. 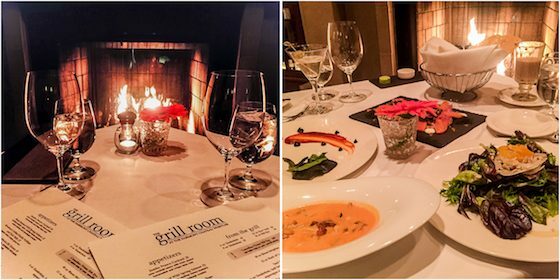 The Grill Room is another option for dining in the Fairmount. It is AAA/CAA Four Diamond rated and well known for chops, steak, and seafood. Their soup is made right at your table on a gas stove. You have to try the lobster mac. Yummy! If you want a steak, the choices are wheeled out to allow you to select the cut and the size of your cut. You get gourmet here and you get exactly what you want. Breakfast at Portobello in Whistler’s Upper Village is so fun. This Market and Bakery has some great offerings, like their Bacon Maple Cream Doughnut. Skip the chain coffee and have your cup of joe here. You will not regret it. Basalt Wine + Salumeria is a wine bar, salumeria, and restaurant that you will find in Whistler Village. They feature both local and international wines. The food here is carefully crafted with an insane attention to detail. 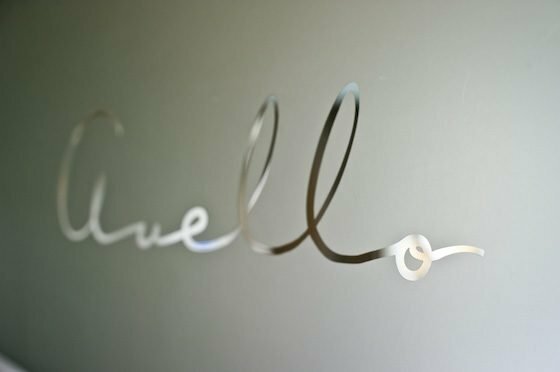 Come here to experience a very fine 3 course meal or pop in for lunch on a Friday; either way you will not be disappointed. There is something so romantic about an excellent fine dining experience, so be sure to take the time to dine here. For casual dining found at the Fairmount, try The Wildflower Restaurant. The food here is inspired by local cuisine. The brunch is incredible. So if you decide to stay in bed a little longer on Sunday morning while staying at the Fairmount, head downstairs for the perfect late morning, early afternoon meal. For a sweet apre`s option during your stay at the Fairmount, visit The Mallard Lounge and Terrace Chocolate Bar. Enjoy a treat by the piece or do a chocolate flight. So sweet and very romantic. Quattro at Whistler is divine. The warm, welcoming environment is ideal for enjoying modern Italian cuisine. Everything about dining here makes you feel comfortable. They offer family style platter dishes to share. If you really want to take it all in, go for the five course LAbbuffata. 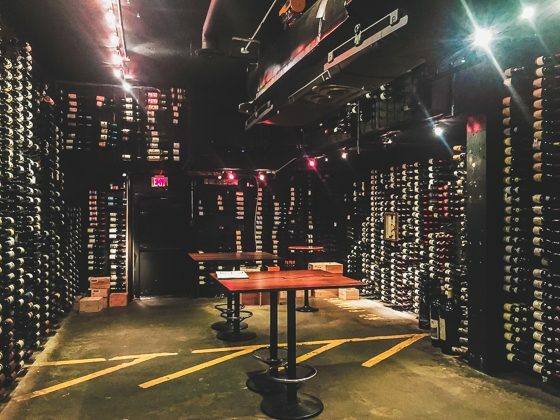 The wine selection at Quattro will please even the pickiest of wine enthusiasts, but if you are new to wine drinking, the staff can help you choose the perfect bottle to pair with your meal. This winter, don’t stay home. Don’t head south. 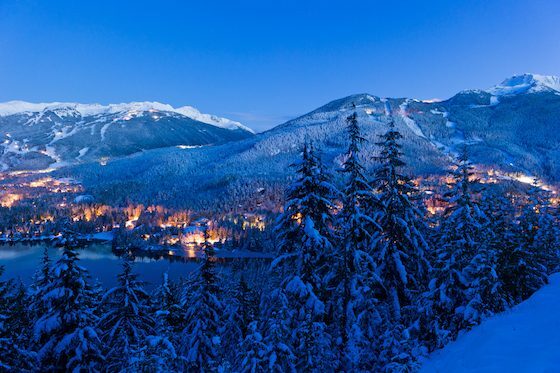 Add a little romance to your life with a trip to Whistler. Everything you need if you desire excitement and some quiet time together as a couple is right there waiting for you. Start your days with a wild adventure and end with something calming, like the spa. 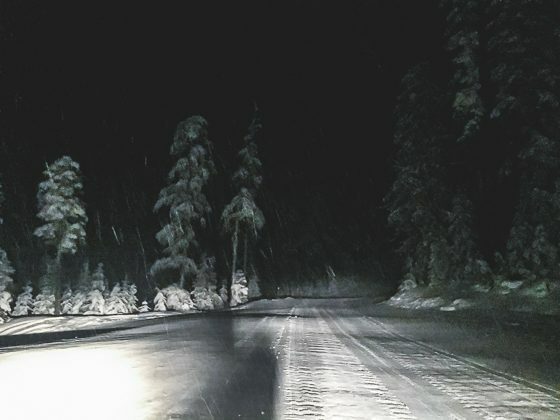 We can’t think of anything more romantic than snuggling up after a day in the winter wonderland that is Whistler. 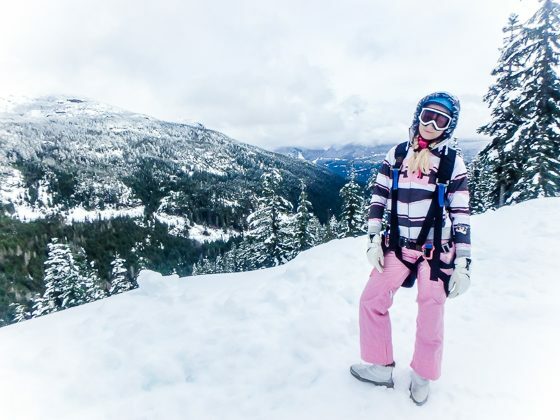 Need some winter-wear for your trip to Whistler? We have you covered with Dressing for the Elements.